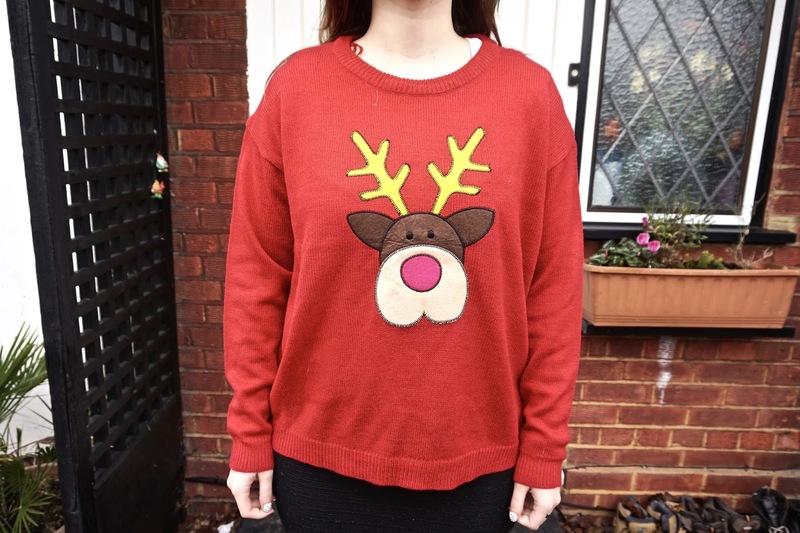 I thought i would do a post showing you my favourite Winter jumpers! These jumpers are actually 5 of my favourite ones, and there all different types of jumpers too. There is a Christmas jumper in there, and of course there is a roll neck jumper in there as they seem to be the trend at the moment! 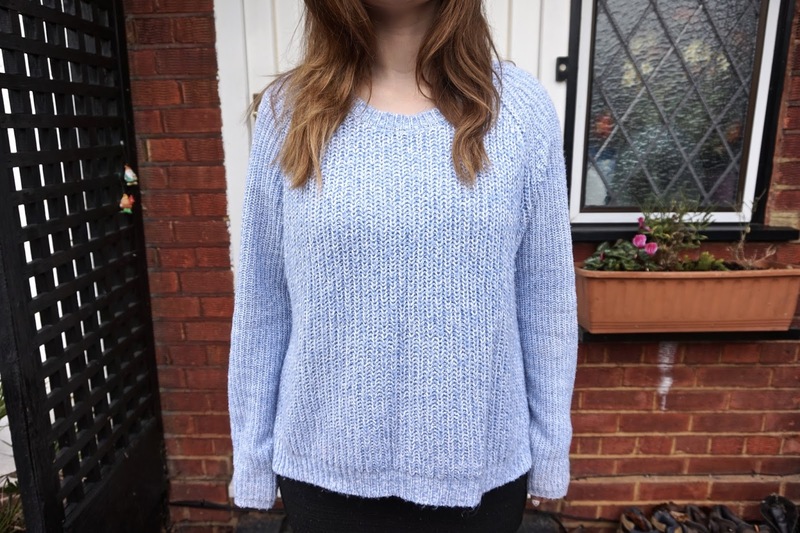 This gorgeous blue knitted jumper is perfect for the Winter. 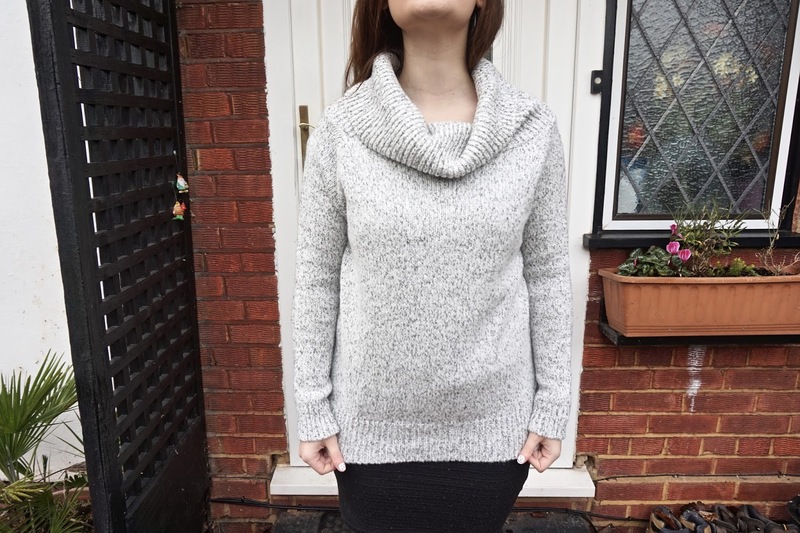 It's quite a light knit so it's perfect for layering (i normally just wear a tee underneath) and it's quite slouchy too which is something i look for in a jumper as i want to snuggle up in it. I really like the colour of this jumper too, as in the Winter people start wearing colours like grey and black and i think this is nice because it's a bit brighter. 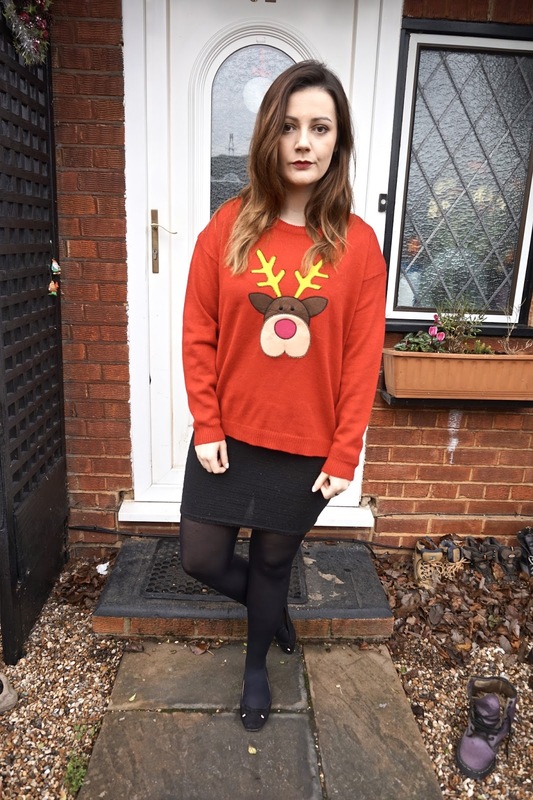 Of course there had to be a Christmas jumper in this post. During Winter i love to look around for a nice Christmas jumper, and i really like this one as it's Christmassy but very understated as opposed to right in your face. The jumper is knitted, but is really soft and comfortable. I think the reindeer is really cute too. I bought this jumper only a couple of days ago from New Look so i don't know why i can't find it on the website to link it. 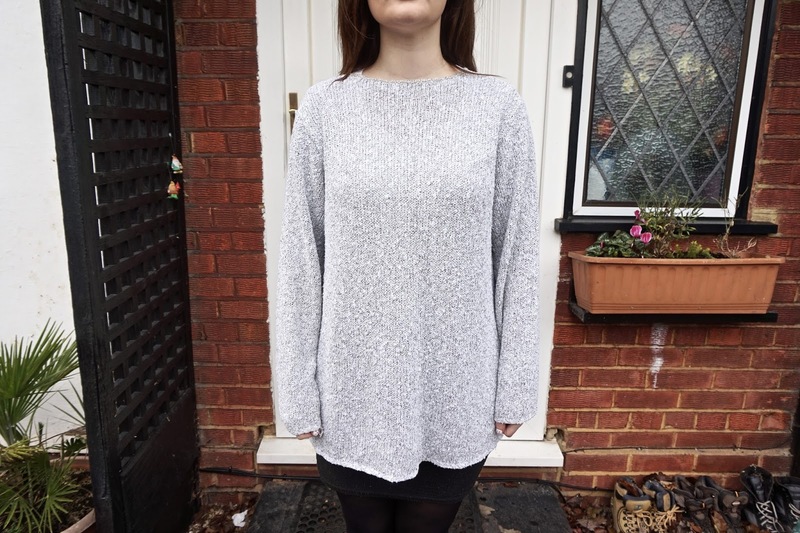 This jumper is so cuddly and warm and it's a bit of a thicker knit compared to the two above. I absolutely love the colour too as it's speckled with black and white which i think creates a lovely effect. 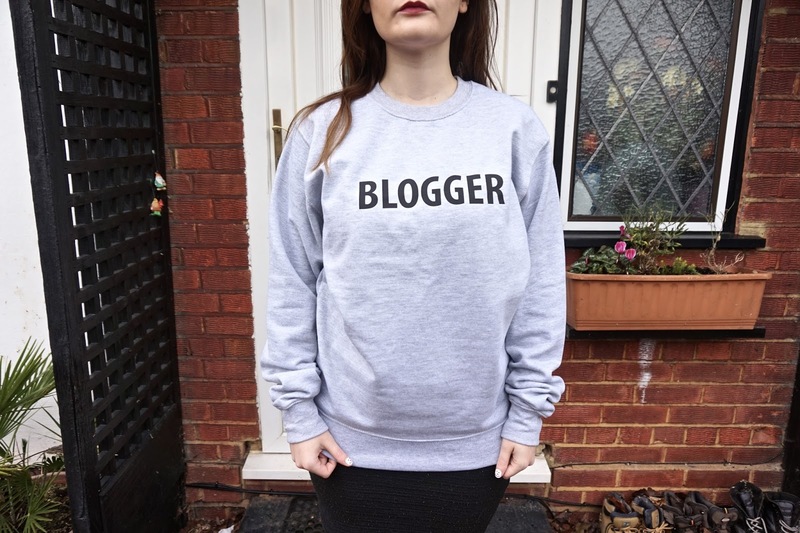 This jumper has and many more slogan jumpers that are like this were created by a fellow blogger Hannah Gale, i obviously had to get the one that send 'Blogger' on it which i think is pretty self-explanatory. This jumper is more of a sweater and it's got a thin fleece lining on the inside which is lovely when you want to get really cosy. This jumper is quite long but i like it all baggy. 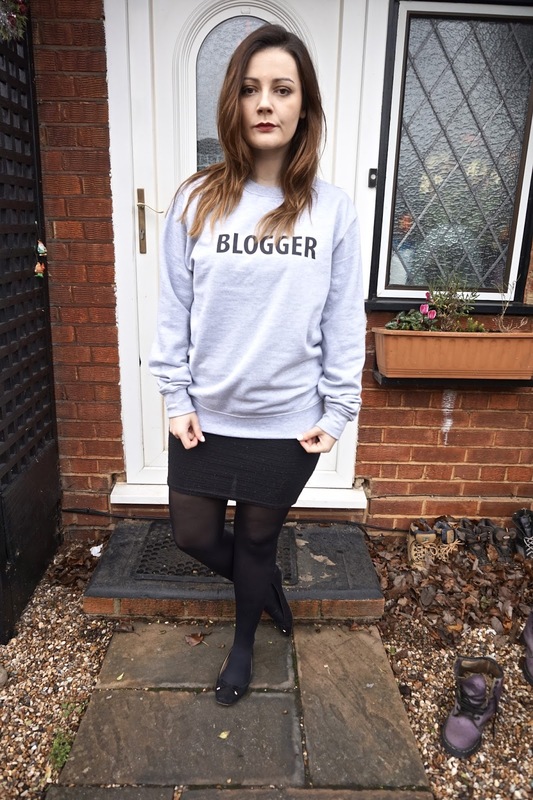 This is my everyday go-to jumper as it's just perfect to throw over some leggings. This jumper is a very thin knit so i always wear something underneath it and i'd say it's my sloppy jumper. It's so comfortable! I actually bought this from the Charity Shop a couple year ago for about £5 and it's definitely oversized but i love it. Like the Roll Neck jumper, the colouring is speckled black and white. What's your favourite type of jumper to wear in the Winter?